You might be planning your next business deal and might want to run your colleagues through the nitty-gritty details regarding their roles. 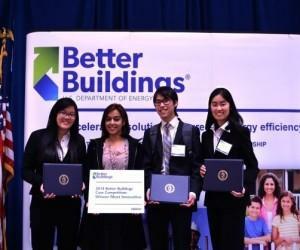 This might include a preparation for presenting a project proposal or a plan for an upcoming venture. In such a case you are likely to have more success if you make a presentation. 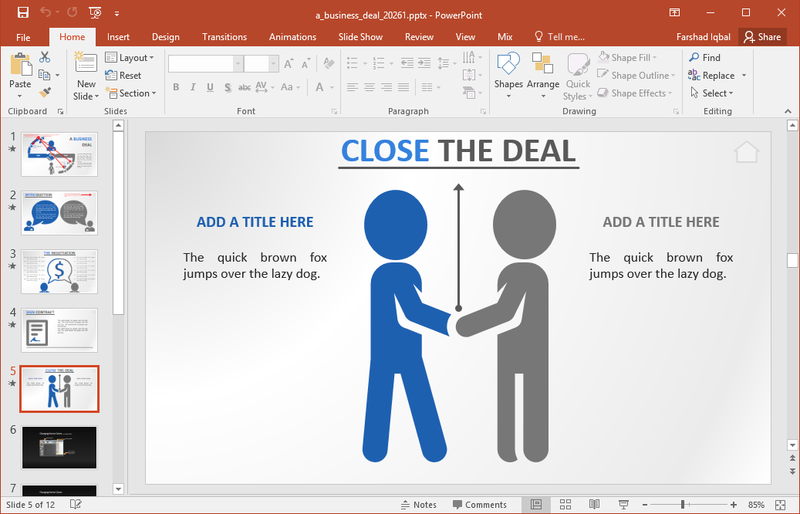 The Interactive Business Deal PowerPoint Template can help you do just that. 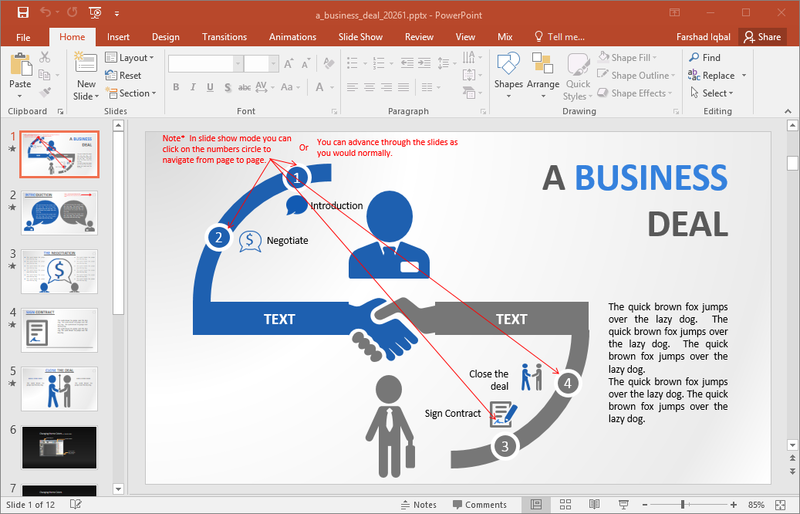 There are five slides in this interactive template, each depicting a specific part of the business deal. 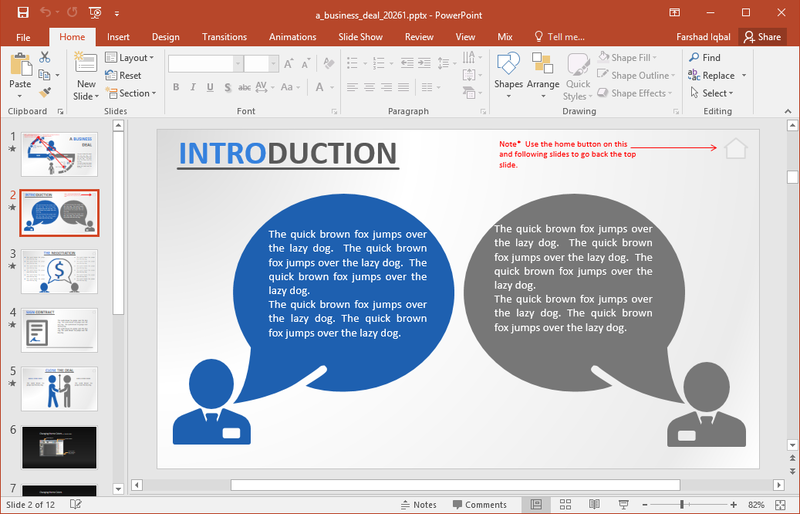 The presentation starts with a title slide which can be used for introducing the topic. This slide also comes with four interactive buttons, each for switching to a specific slide. The following slides come with a Home button, which takes you back to the title slide. 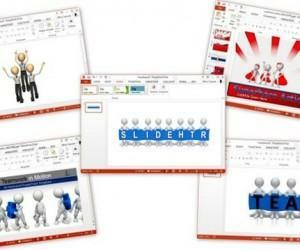 This way, you can choose to switch back and forth slides in a convenient manner. The third slide shows the negotiation process. This is where you can add relevant details regarding the role of each team member to convince the potential client. The Home button on the top right corner can be used to switch back to the title slide, which contains links to four of the content slides. 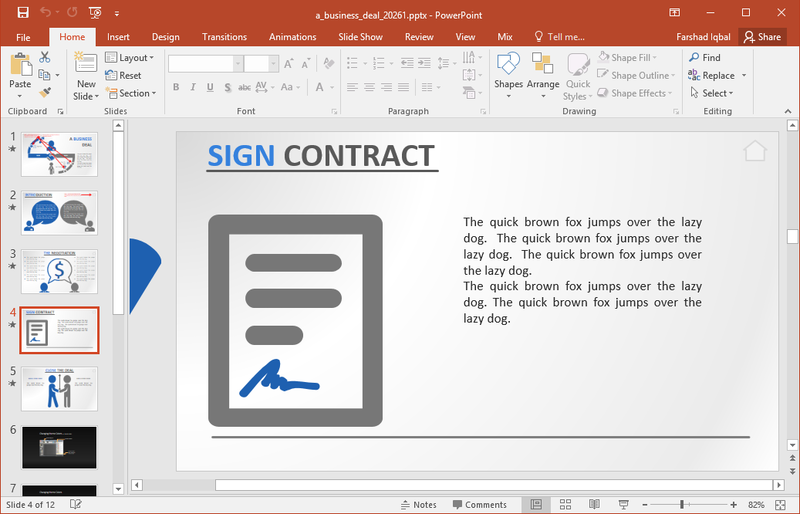 This slide provides a content slide where you can add details regarding the contract signing process. 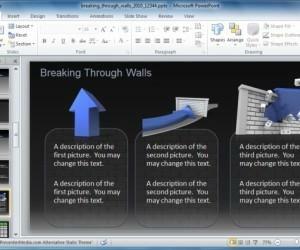 You can also modify these slides to change the basic concept given in sample slides. 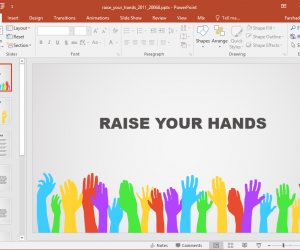 This slide depicts two stick figures shaking hands. This is meant to be the concluding slide for your presentation. 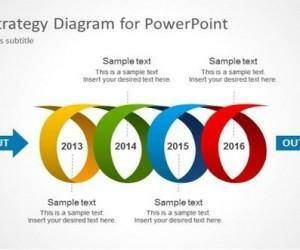 You can add a summary for your presentation and give a roundup of all important details in this slide. 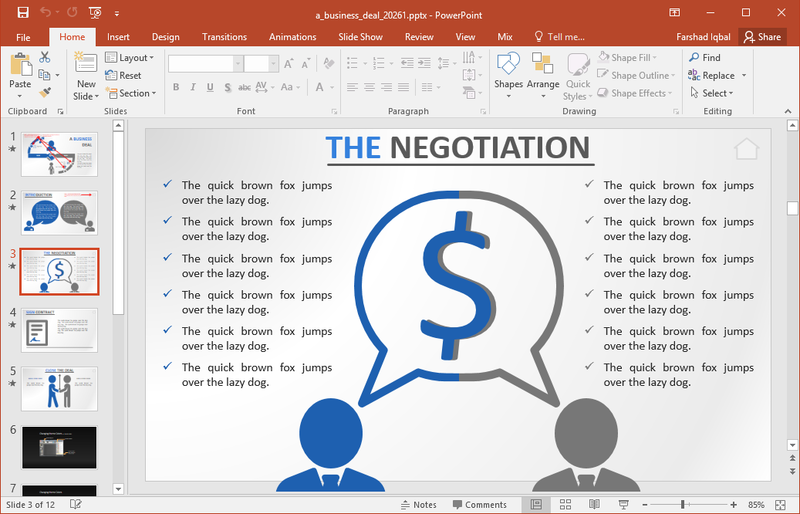 The Interactive Business Deal PowerPoint Template is compatible with all PowerPoint versions that support the PPTX format, including PowerPoint 2017-2016. 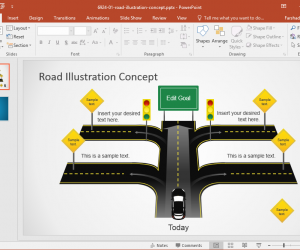 You can also download this interactive slide deck in Keynote format.